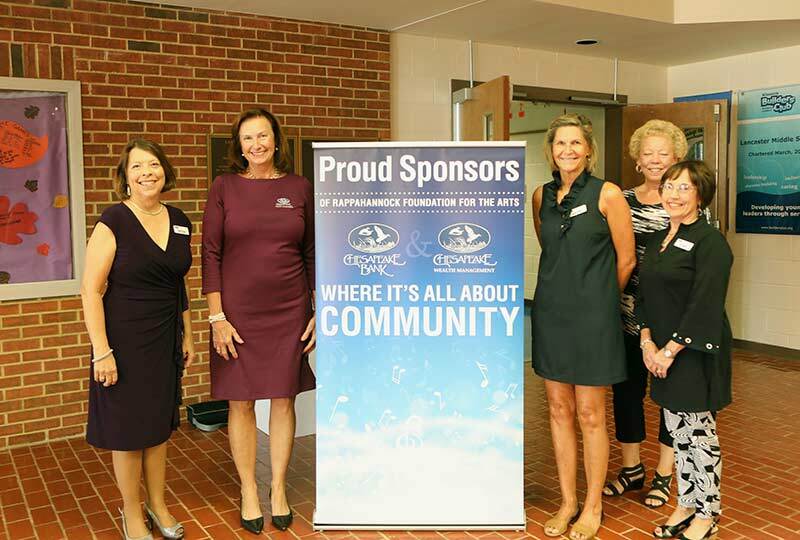 Chesapeake Bank and Chesapeake Wealth Management serve as season sponsors for the Rappahannock Foundation for the Arts' On Stage 25th Silver Anniversary series. From left are RFA President Jamie Tucker, Chesapeake Wealth Management Senior Vice President Jean Light, RFA Operations Chair Jackie Burke, RFA Administrator Carole Barton, and RFA Vice President Bev Upshur. 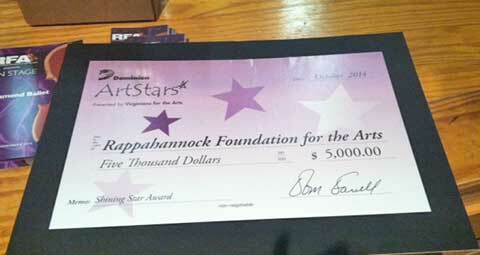 The RFA was given a $5,000 Dominion ArtStars Shining Star Award in a ceremony on October 31, 2014. 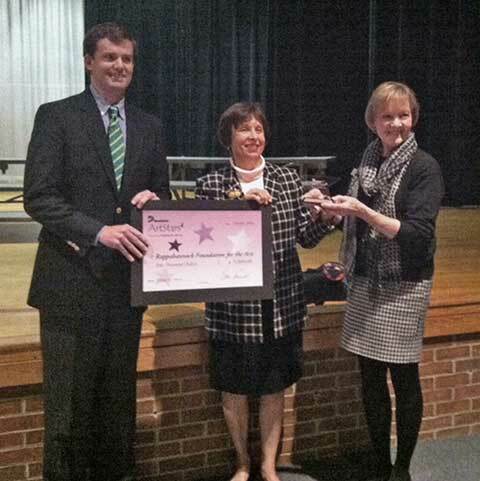 These awards, through Virginians for the Arts (VFTA) in partnership with Dominion Foundation, celebrate community arts and education and emphasize the contributions of arts organizations through their partnership and collaboration with schools across the Commonwealth.